How can I detect inside a TeX file which engine (pdftex/xetex/luatex) is used to compile the file? Is there a LaTeX package that provides this functionality? Yes, there is — iftex. There are also ifxetex and ifluatex packages. Internally these packages rely on checking if engine-specific primitives exist, such as \XeTeXversion. Packages ifxetex, ifluatex, ifpdf. You can also look e.g. in hyperref to check how it detect which driver it should use. LuaLaTeX can run both in DVI and PDF modes. How can I place conditional statements in a LaTeX file dependant on how I'm processing it? How do I get the protrusion to work in XeTeX? How can I test if a document is being compiled by XeLaTeX? How to write a LaTeX command that could discriminate if it's being called with pdfLaTeX in order to use PSTricks? Is it possible to conditionally execute statements based on the translating engine, within Plain TeX? How can you use both fontspec and xmpincl? How is the output of XeTeX or LuaTeX tested for fidelity with output from earlier TeX engines? 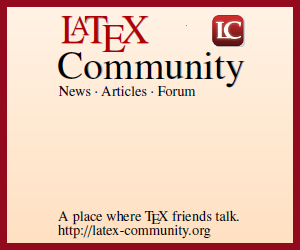 Why the version of e-TeX extensions in LuaTeX is different?